I’m just back from this year’s Scottish Association of Writers Conference at The Westerwood Hotel (@TheWesterwoodQ) in Cumbernauld. And what another fantastic weekend it has been! The SAW Council work hard to put on such a great event and this year we had the biggest turn out from our writing group, @AWCAngus since I started attending a few years ago. It’s so good to be able to spend more time with friends and get to know each other better, as well as just generally soak up the buzz of being in the company of like-minded people. The icing on the cake is that we again came away with some prizes and placings in the various competitions that are adjudicated over the weekend, including top prizes of The Dorothy Dunbar Rose Bowl for poetry for our Club Secretary, Sandra Ireland (author of ‘Beneath The Skin’), and The Constable Silver Stag for a General Novel to Pam Turner. Last year I was lucky enough to win the beautiful T.C. Farries trophy for a Children’s Novel, and it was with a certain reluctance that I found myself packing it up in order to pass the baton. However the consolation was that this year it was awarded to fellow Society of Children’s Book Writers and Illustrators (SCWBI) member, Sheila Adamson, so it was a bit like keeping it in the family. 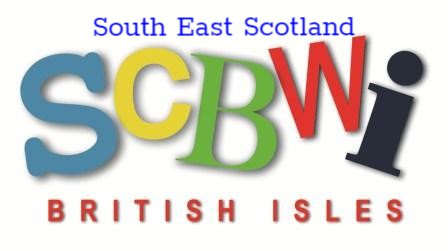 Apart from the competitions and the social side, there are a number of fantastic SAW workshops to attend, and my favourite two of the weekend were run by YA authors Keith Gray and Victoria Gemmell (another fellow SCBWI). Thank you both for being so lovely and helping to turn it into such a special weekend once again. I was also able to attend an outside workshop run by editor and literary consultant, Claire Wingfield (www.clairewingfield.co.uk) and between the three of them, have left feeling inspired and keen to get back to my own work in progress. Our keynote speaker was the very funny Helen Lederer who rounded off a brilliant conference. If you would like to know more about Angus Writers’ Circle you can follow us on Twitter @AWCAngus, and I hope your own writing is going well. Well done to you on your own well-deserved successes, Elizabeth! Highly commended for ‘The Mess Monster’ (love it) and commended for flash fiction. Can’t wait to hear it!